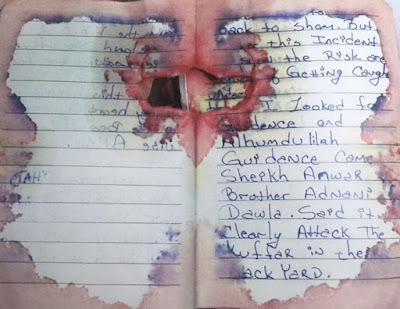 In the official Department of Justice complaints filed against New York and New Jersey bomber Ahmad Khan Rahami, you will not find a connection noted between Rahami and the Islamic State in Iraq and Syria (ISIS). It is there, nonetheless. The complaint did point to a connection between Rahami and al-Qa'idah. First, here is the connection. 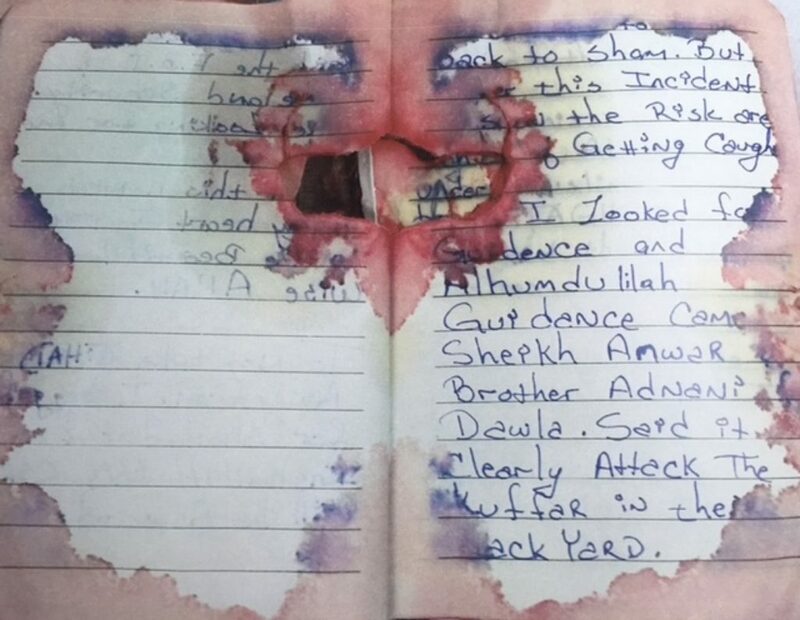 Here is the text that is readable from a key page in Rahami's blood-stained journal. Anyone with a rudimentary understanding of jihadi Arabic terminology will see this immediately. I have expanded it for those who do not. "...back to sham. But __ this incident show the risk are ___ of getting caught under ___. ___ I looked for guidance and alhumdulilah guidance came from Sheikh Anwar & Brother Adnani of Dawla. Said it clearly attack the kuffar in their backyard." "...back to Syria. But __ this incident shows the risks are ___ of getting caught under ___. ___ I looked for guidance and thank God, guidance came from Sheikh Anwar al-Awlaki and Brother Abu Muhammad al-Adnani of the Islamic State (ISIS). It said it clearly: attack the infidels in their backyard." Anwar al-Awlaki was a longtime propagandist for al-Qa'idah. A native born American citizen, he was responsible for inspiring and directing scores of terrorist attacks, mostly aimed at the United States. These attacks included Umar Farouk Abdulmutallab (the "underwear bomber") and Fort Hood shooter Nidal Hasan. Awlaki was killed in a U.S. airstrike in Yemen in September 2011. Abu Muhammad al-Adnani was the ISIS spokesman and its chief of external operations, responsible for a series of attacks in Europe, including the November 2015 attacks in Paris and the March 2016 bombings in Brussels. Adnani was killed in a U.S. airstrike near Aleppo on August 30, 2016. Now, here is why I think the ISIS-Rahami connection is missing. This Administration, and hence its Department of Justice and Department of State, does not want these attacks to be tied to ISIS. It does not fit President Obama's narrative - remember the "JV team" and the fact that he created the conditions that led to the rise of the organization that rapidly took over 30 percent of Iraq and Syria? The fact that ISIS can inspire attacks in the United States shows the failure of the President's plan to eradicate ISIS. What the Administration does not want are constant references to ISIS while the Rahami case progresses through the justice system. Ahmad Khan Rahami will be tried in the federal court system and if convicted, will spend the rest of his days at the United States Penitentiary, Administrative Maximum Facility, more commonly referred to as "the Supermax" in Florence, Colorado, in the company of many of his Islamist compatriots. If we can't send them to Guantanamo anymore, the Supermax will do. 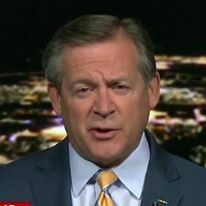 That said, for the Administration - and the orders emanate from the White House - to ignore the ISIS connection is at best disingenuous, and at worst obstruction of justice.